Whether online edutainment gaming can enhance intelligence, student learning, or scholastic performance remains hotly debated in education research circles. In response to this academic issue, and in order to address a number of educational policy questions asked of the authors by several government organisations, the authors have developed the online e@Leader edutainment gaming platform as a solution. Their e@Leader program is the first comprehensive ‘learning by gaming’ system to also be designed according to the findings of advanced machine learning and cognitive developmental neuroscience research. 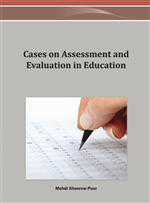 In 2008, the first empirical evidence was generated with its use, and together with its built-in assessment system, integrated into the school curriculum. Beyond this existence proof of concept, and practical program application for educational use, results of beta-testing with the e@Leader system across primary schools in two countries support the claim for tutored online educational gaming in enhancing intelligence, active student learning, and scholastic performances in English and math. Online edutainment gaming has both its vociferous advocates and critics, and the issue concerning whether the use of computer- and video-based gaming can really enhance intelligence and active student learning as may truly correlate scholastic achievement, has remained hotly debated in education research for more than a decade (e.g., Gee, 2005; Prensky, 2006; Walsh, 2004; see also Fishman, Marx, Best, & Tal, 2003). This issue has not, however, remained solely the interest of academics, developmental psychologists and education researchers, and has been of more than a passing interest to educational policy-makers and curriculum designers. In 2005, the current authors were approached by several commercial and Governmental organisations with a view to the possibility of developing an online gaming system integrated into (or at least compatible with) existing academic primary school curricula, whilst also extending those curricula to include the enhancement of general intelligence and the learning of socio-emotional ‘soft’ skills. In accepting this challenge, we embarked upon the project with a view to combining our expertise in intelligent systems and task design, curriculum development, and assessment. Within 18 months of beginning what was to become an unexpectedly entrepreneurial ‘eduventure’ in itself, we were ready to test the resulting platform, now known as the online e@Leader edutainment gaming platform. Built fully in-house at the Academic Research Laboratory of Global Choice Psychometrics (Hong Kong), the e@Los operating system, with more than 300 games, (a subset of which we will describe as case examples below), all graphics and a fully integrated player monitoring assessment system, were designed and built in accordance with the most forward-looking research findings of experimental psychology and cognitive learning theories (McGonigle, 1991). The resulting e@Leader program is thus a unique tool for student cognitive enhancement, and is the very first fully comprehensive ‘learning by gaming’ system to be built based upon the findings of some thirty-plus years of advanced intelligent machine learning and cognitive developmental neuroscience (e.g., Calton, Dickinson, & Snyder, 2002; McGonigle, Chalmers & Dickinson, 2003; Minsky, 1988). However, and in order to begin our optimal program design architecture, it was first necessary to acquaint ourselves with the finer details of the existing debate concerned with the pro and con arguments for video-gaming, and the putative claims for its effects upon mainstream school student learning.